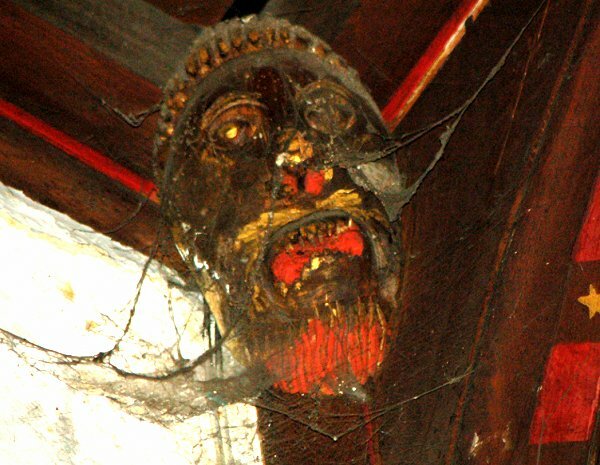 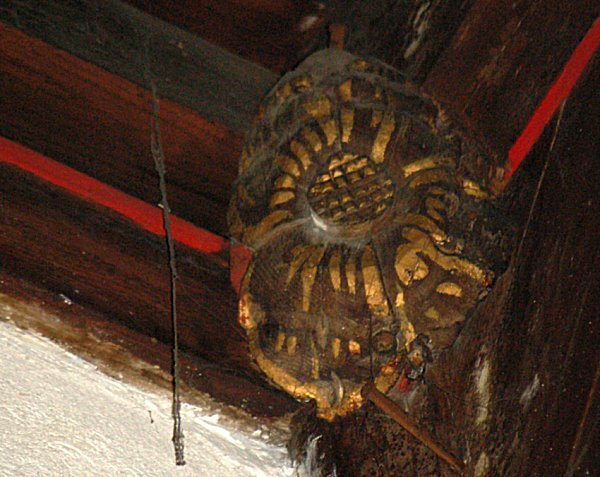 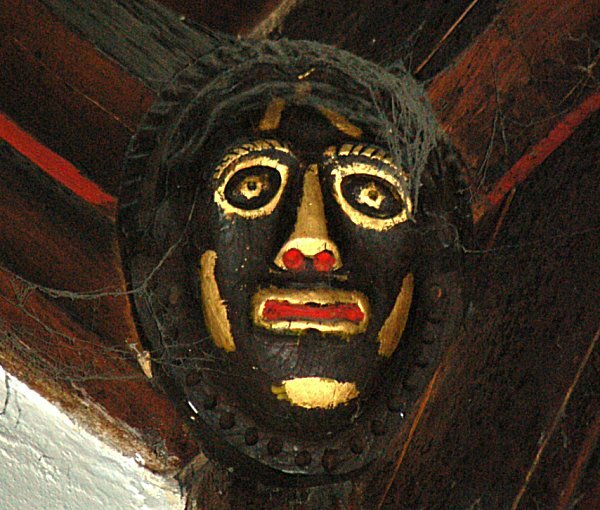 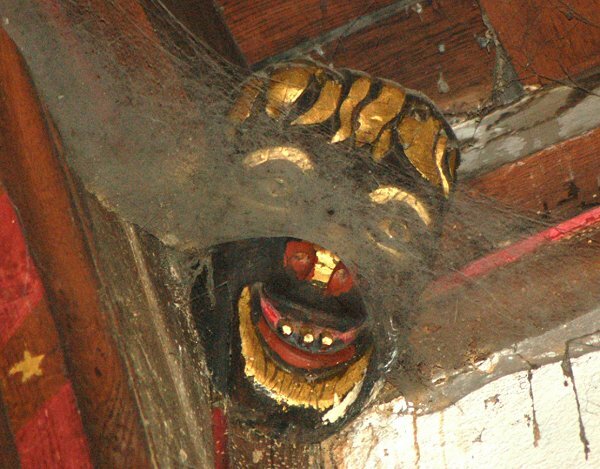 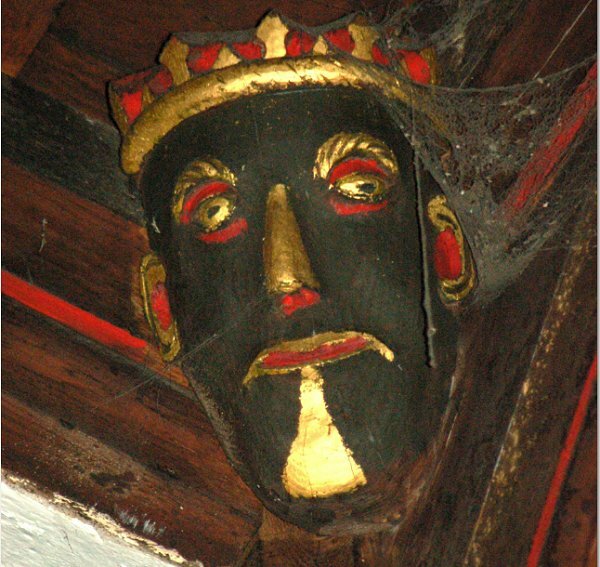 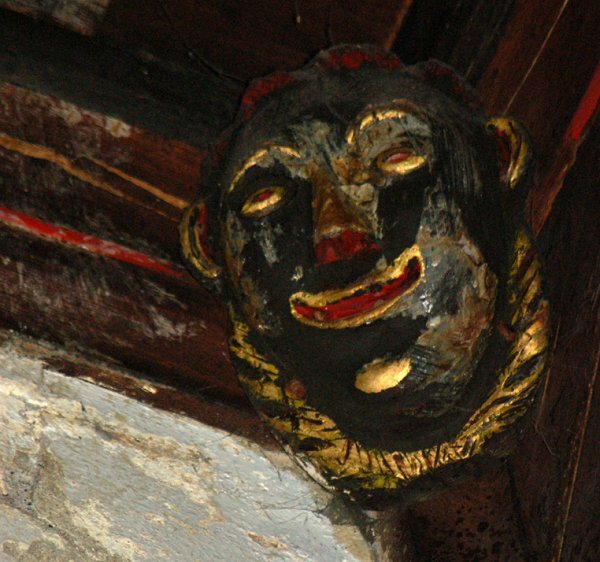 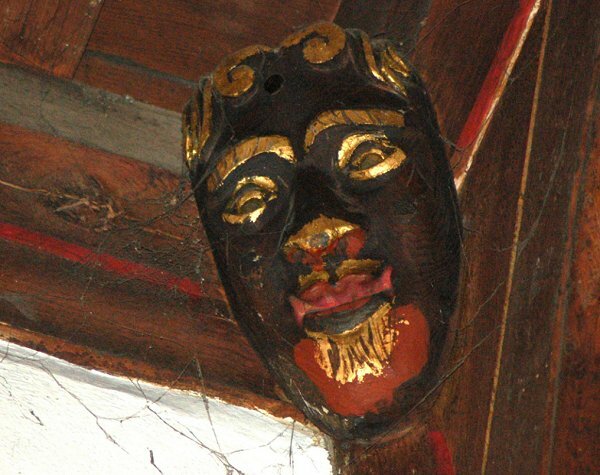 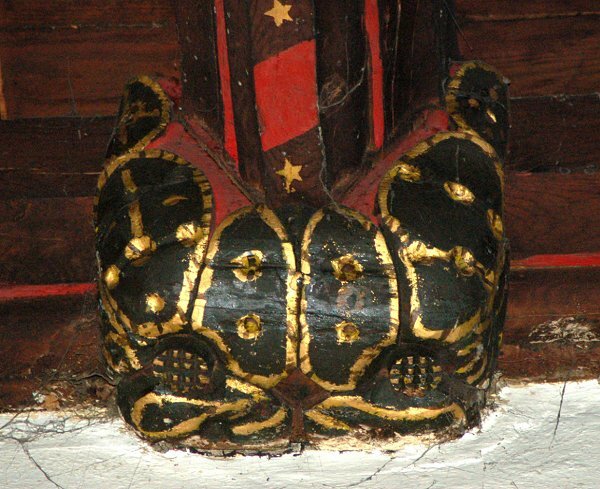 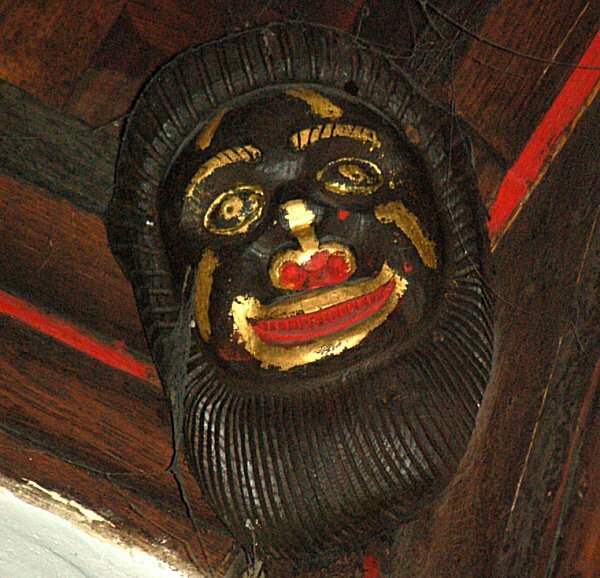 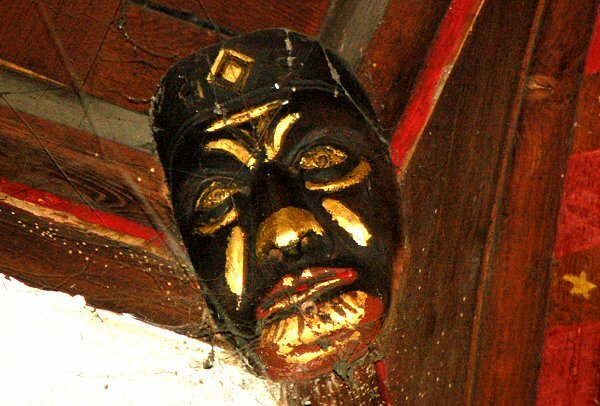 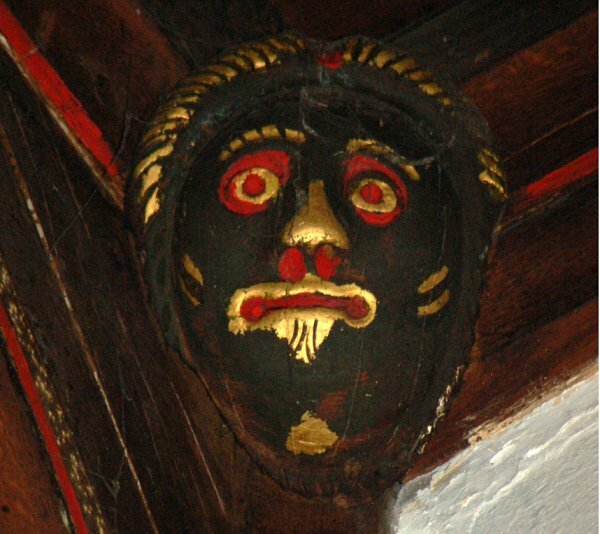 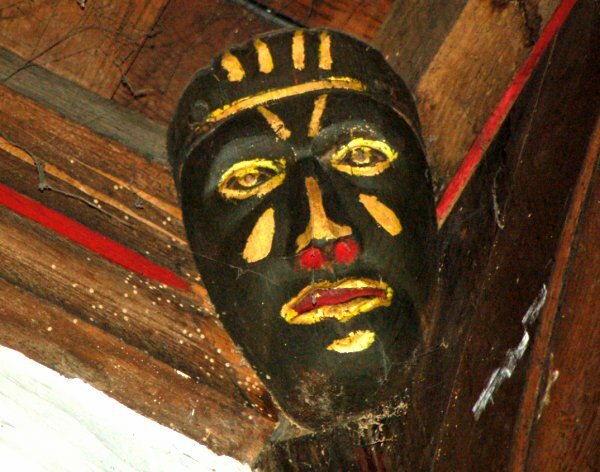 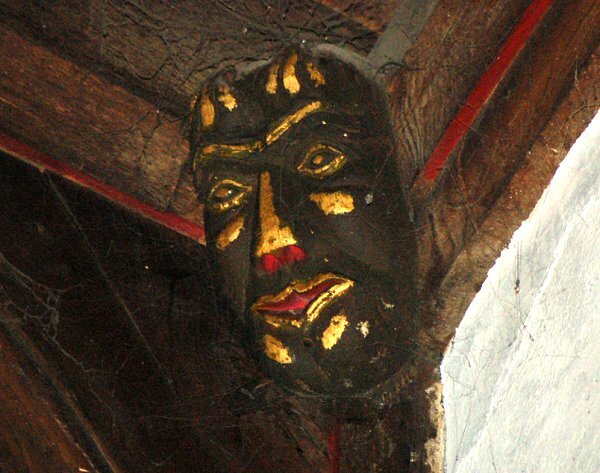 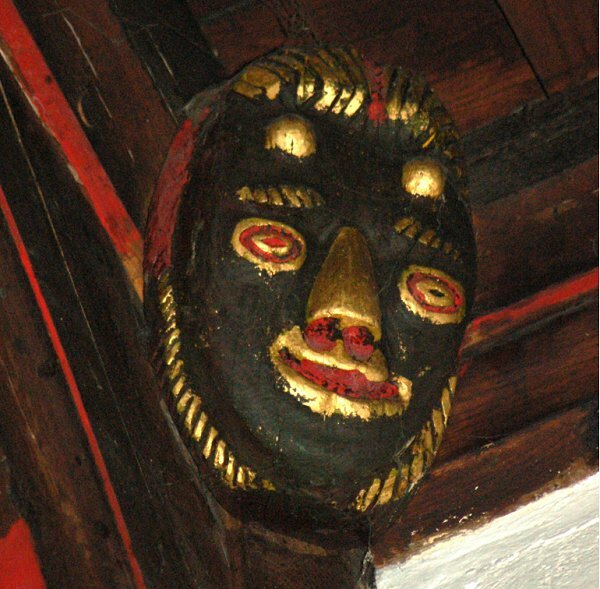 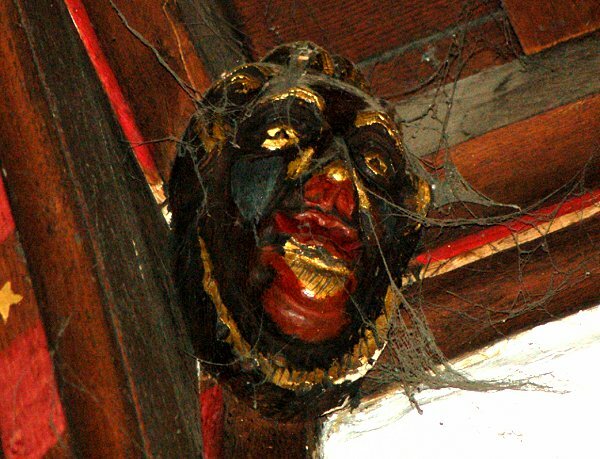 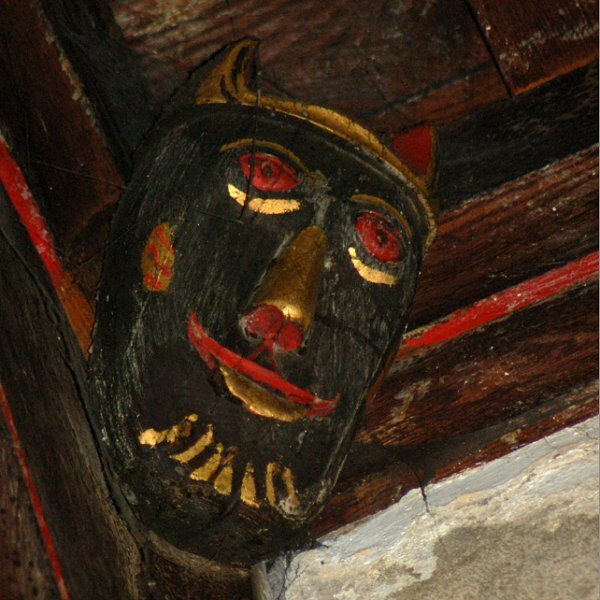 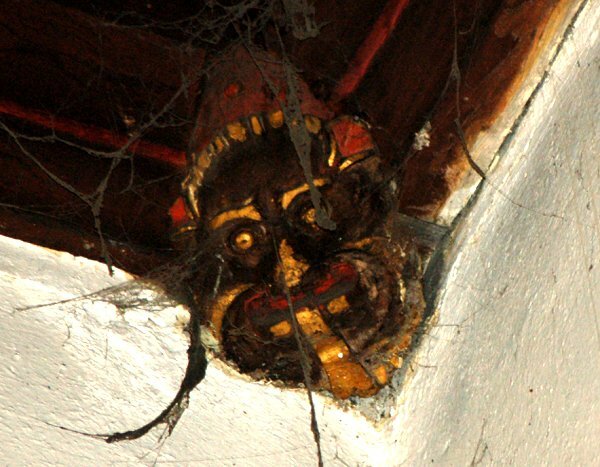 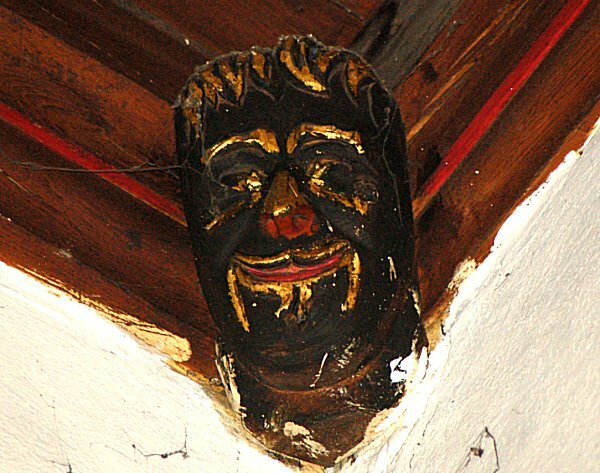 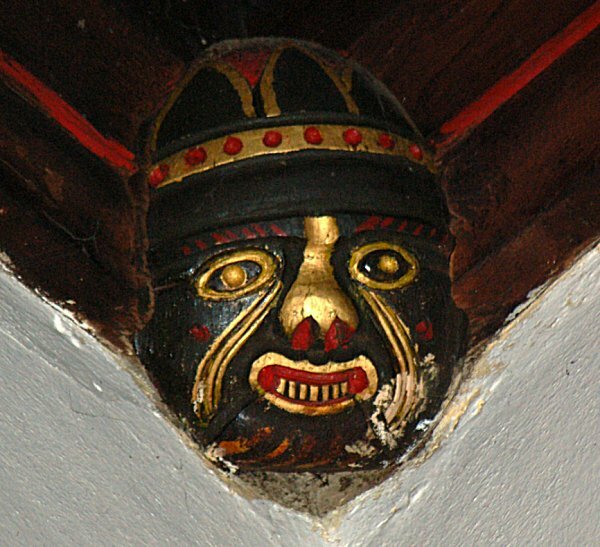 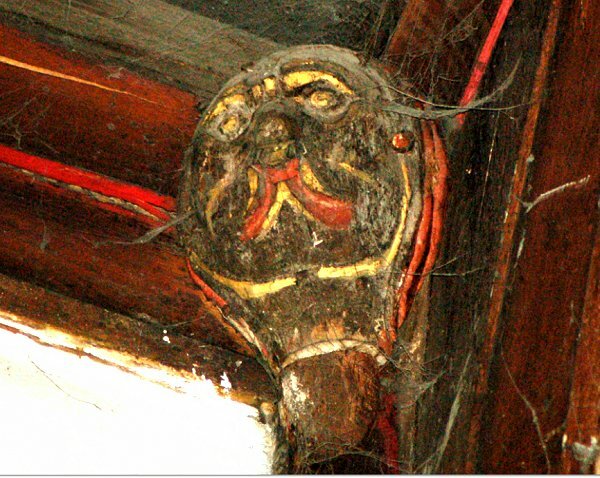 People rarely look upwards inside buildings, which is a pity as much is missed - especially in St John's church where there is a wealth of medieval carved roof bosses. 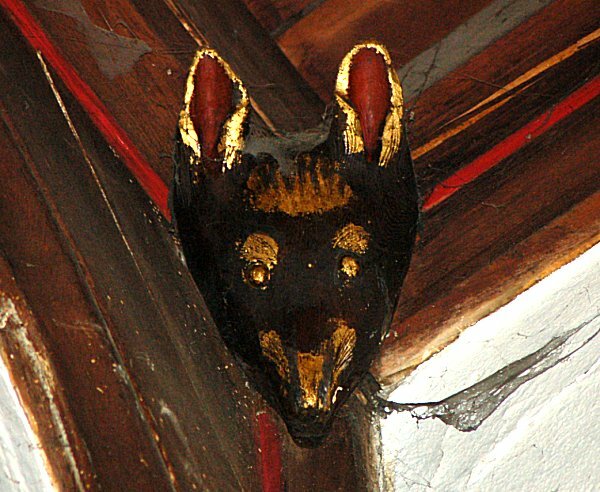 You will, like me, need a very long telephoto lens or a pair of binoculars to see them. 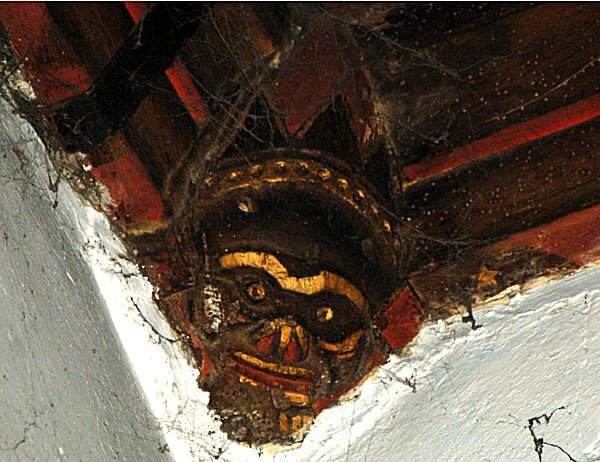 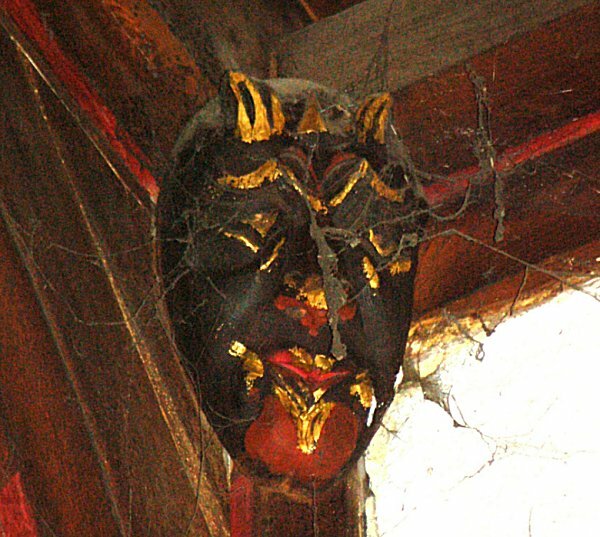 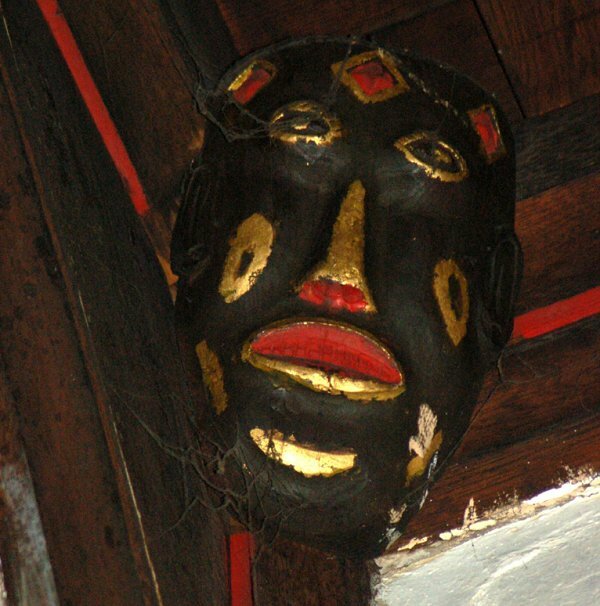 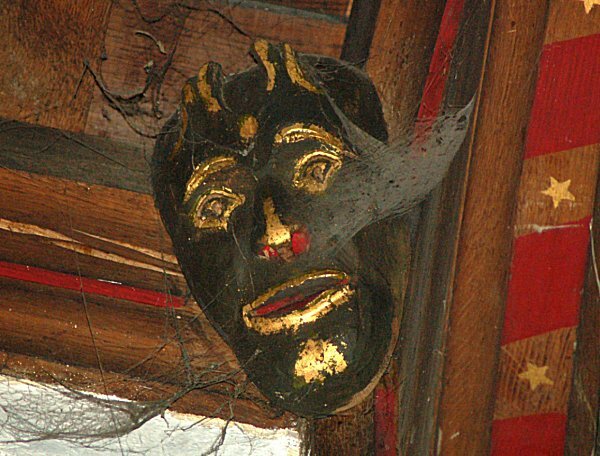 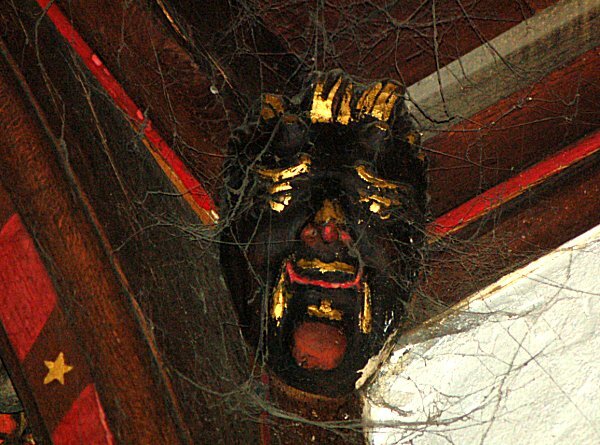 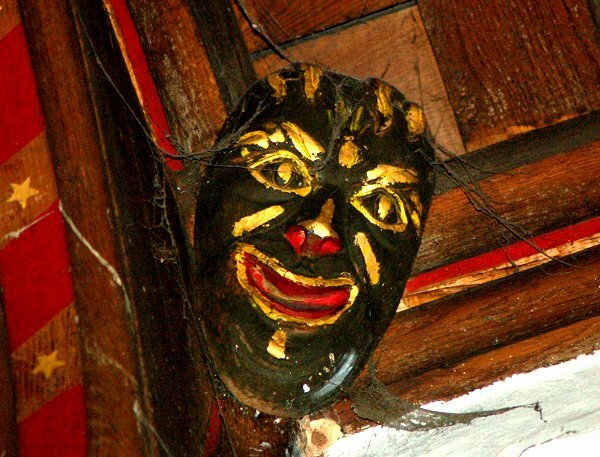 This page is specifically for the roof bosses in the form of grotesque "African" masks, numbering about 30 in all and located primarily in the north and south aisles. 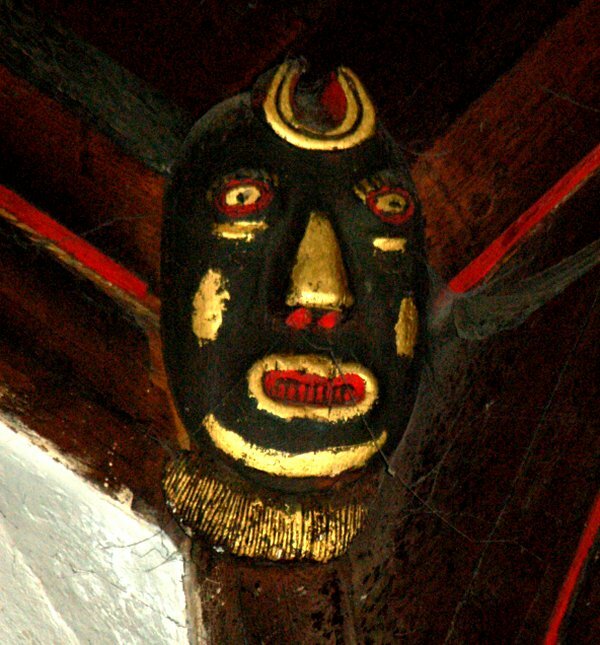 The dating below is almost certainly applicable to the African bosses. 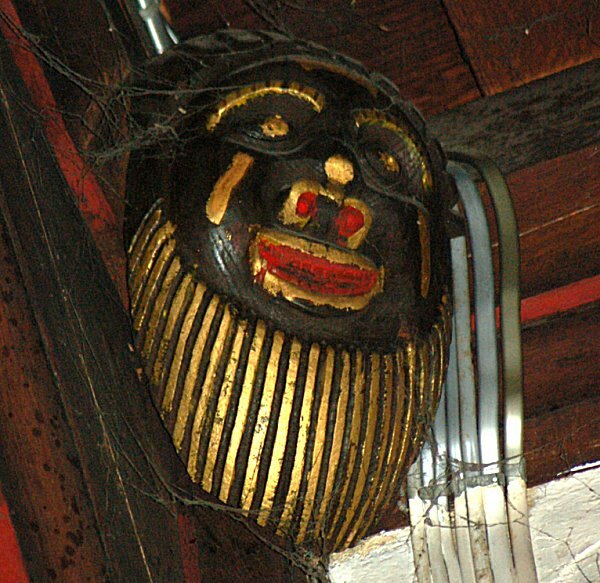 Probably unique, the origins of these strange bosses are unknown.